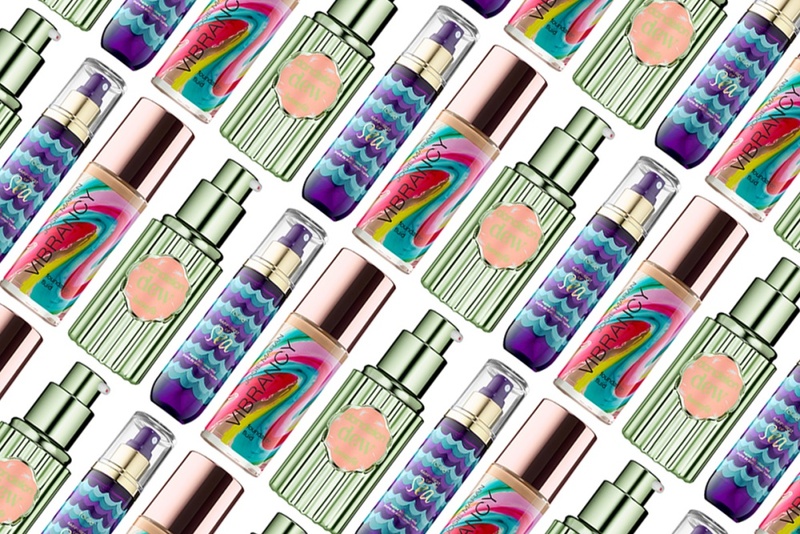 What's New: Josie Maran, Tarte and Benefit Cosmetics | Top Beauty Blog in the Philippines covering Makeup Reviews, Swatches, Skincare and More! Three new great and exiting products from Josie Maran, Benefit and Tarte Cosmetics worth giving a try . . .
Josie Maran Vibrancy Argan Oil Foundation Fluid $45.00 - Activate your skin’s vitality with Vibrancy Argan Oil Foundation Fluid. Like a fresh squeezed juice, Vibrancy utilizes a revolutionary cold-pressed process that preserves the powerful, hand-selected ingredients for the freshest, most effective skin care foundation. Vibrancy energizes your skin with the essential nutrients it craves and is designed to interact and adapt to the movements of your skin with delicate fluidity for a radiant, dimensional finish. Benefit Cosmetics Dandelion Dew Baby-Pink Liquid Blush $28.00 - Dandelion Dew Soft Baby-Pink Liquid Blush leaves cheeks with a healthy-looking glow that creates a lit-from-within glow. The sheer, baby-pink hue instantly brightens up the complexion, giving cheeks a natural-looking, delicate gleam. The long-lasting & high-performing formula is blendable, buildable, and perfect for any skintone. This lighter-than-air, creamy texture melts in seamlessly leaving you a visibly dewy, baby-pink, youthful-looking glow. Just apply with your fingertips and blend onto cheeks to heighten your makeup look. Tarte Rainforest of the Sea™ Marine Boosting Mist $25.00 - This complexion boosting mist helps restore your skin’s natural radiance and hydration and extends your makeup for 12 hours. The refreshing setting spray acts as a hydrating mist and primer to help to minimize the appearance of pores, redness, and puffiness. Featuring a hypoallergenic formula, it’s infused with tarte’s antioxidant-packed Rainforest of the Sea™ complex to help shield skin from daily aggressors. Just mist on a few times throughout the day to quench dry skin and help improve the look of firmness over time. I would like to try argan oil foundation!!! I want to try everything that you talk about in this post! I definitely need to try these products! Have a great week! I am seriously loving the LUXE packaging on all three! Great news, thx for sharing.